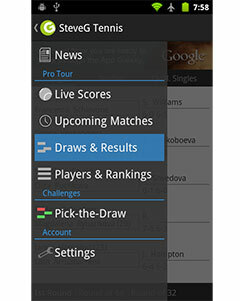 Top seeded Jo-Wilfried Tsonga (Player Profile) kept his chances alive for a third consecutive title at Metz, when he defeated Florian Mayer (Player Profile) in three sets to reach the final of the Moselle Open. He will meet fellow Frenchman Gilles Simon, who beat Nicolas Mahut 6-3, 7-6 (2) earlier today. 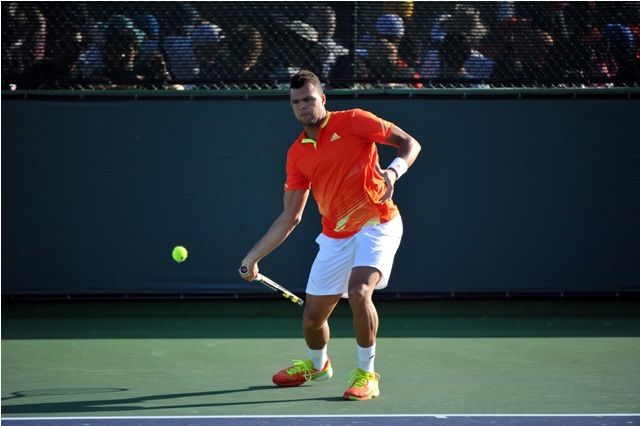 Tsonga rallied from a set deficit against Florian, who broke ahead in the opening game of the match and maintained his lead for the remainder of the set. While he remained competitive for the remainder of the match, Tsonga was able to regain control of the match and secure the second set to force a deciding third. Tsonga was aggressive during the set yet stopped on several occasions to stretch out his knees, which appeared to irritate him during the match. With the crowd’s support behind him, the world no. 8 broke Mayer once again to secure the match and reach his first final since winning the Marseille Open in March. The other semifinal was an all-French encounter between second-seeded Gilles Simon (Player Profile) and Nicolas Mahut (Player Profile). It was a far less competitive encounter, as Simon broke ahead in the fifth game of the match and maintained a stranglehold for the remainder of the match. While the second set reached a tiebreak, the world no. 16 did not face a single break point would take it in emphatic fashion. The tournaments top two seeds will meet for the ninth time in their professional career, with Tsonga leading the head-to-head 5-2. They will both be after their 11th career title.